March is slowly coming to an end, and spring is finally in the air. Maria Casino celebrates this with an end of the month-promotion in the Live Casino section – with a total of £75,000 up for grabs! The excitement is happening over at Maria Casino right now! Play any Live Casino games you like, and collect points to the leaderboard which could bring you the top prize of £15,000. In order to take part of the end of the month Live Casino promotion at Maria Casino, you need to head over to their website and opt in. Then you simply have to play Live Casino, whichever games you like, before Sunday 31st March. The 400 players with the highest total turnover will get to share the £75,000 cash prize pool! £20,000 prize pool in Maria Casino’s new tournament! Maria Casino is turning up the heat! A brand new summer spins tournament has arrived, and a total of 200 prizes are waiting to be won on the selected slots – will you be taking home one of them? The top prize of this tournament is £3,000 in cash, and since it is an equalized win tournament you can win in just one great spin! The total prize pool consists of £20,000, and it will be shared between 200 lucky players. In order to give you a head start in towards the prizes, Maria Casino is offering you five cash spins on the slot Fruit Shop! £110,000 Live Casino Summer Tournament! Maria Casino’s favoriite things about summer? The tournaments filled with big cash prizes of course. Get ready to crank the heat up with Maria Casinos Live Casino summer tournament, where you can win up to £5,000 in cash! Join the tournament by opting in at the Maria Casino website. Then you can start collecting points by playing any of the Live Casino games. Make sure to finish among the top 110 players in the tournament, in order to get a share of the £110,000 prize pool! Win a share of £30,000! Maria Casino has come out with a brand new achievement feature on their quick spin games, that will make your gaming experience more rewarding than ever before. In order to celebrate the new release, Maria Casino invites you to a £30,000 Achievement Tournament! Play any of the slot games that has the quick spin icon on it, like Sakura for example. When you do, you’ll find a set of Achievement goals, and as you complete them you will earn tokens that can be swapped for free spins, free games and loads more! 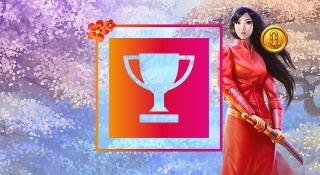 To celebrate the new feature, there is also an Achievement Tournament you can take part of at Maria Casino. The top 500 players will get to share the prize pool of £30,000. You enter the tournament by opting in at Maria Casino, and then playing at least 20 consecutive rounds on any of the quick spin games. 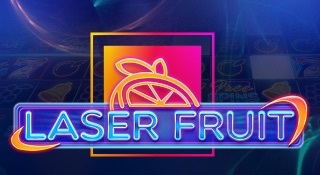 The brand new slot Laser Fruit has arrived at Maria Casino! 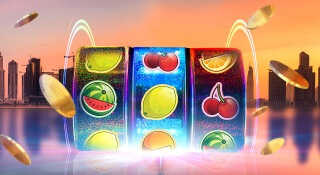 The slot comes with promises of lighting up your life, and some fruity neon symbols! Spin the reels until the laser feature appears, and multiply your ways of winning to 60,566,176! In order to celebrate the launch of the brand new slot, Maria Casino is offering their players a blazing £30,00 tournament! All you need to do in order to participate is to head over to Maria Casino and Opt-in! £10 000 tournament and live prize draw! If you’re anything like Maria, you don’t like Mondays. But if that is the case, you can cure your hate for Mondays with the new tournament over at Maria Casino, Cha-Ching Mondays. The winning sound for your account! £10 000 in cash prizes! Not only will the top 50 players earn a share of the £5000, but the top 100 players will also be entered into an exclusive Live Prize Draw – where they can win one of five £1000 cash prizes! The winners will be announced live each Monday after the main tournament closes – which will add so much needed excitement to our least favourite day of the week! Win £3000 in the Journey to Mars event! An exclusive new slot has landed at Maria Casino – and it’s out of this world. 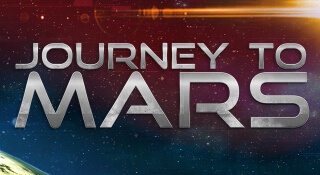 Try the new slot Journey to Mars, and get the chance to win a share of the £20,000 prize pool in the exciting tournament that comes with it! Journey to Mars is a slot with meteor wilds that trigger respins to rock your world, and Mars symbols that trigger a free spin feature that could send your winnings in to orbit! Try the brand new slot out over at Maria Casino, will you take off for a chance of winning the £300 star prize? 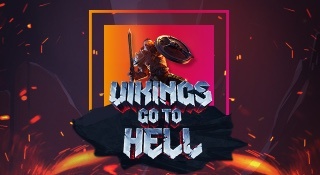 Join the Gods for a £30,000 tournament! Don’t miss out on one of the most exciting launches at Maria Casino to date – where you can win a share of £30,000 in their brand new Asgardian Stones tournament! There will be cash prizes for the top 500 players, and the winner will get no less than £5,000! 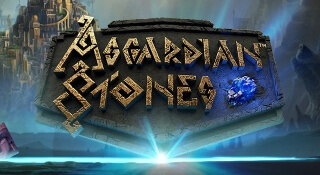 Asgardian Stones is a brand new slot over at Maria Casino that is made by everyone’s favorite software developer – NetEnt. It’s a 5-reel, 3-row, 20 fixed bet lines video slot, that reminds a lot of player favorite Gonzo’s Quest! Make sure not to miss out on trying the new slot out with the chance of big cash prizes! Taking part of the tournament is really easy – all you have to do is to head over to Maria Casino and play the new slot Asgardian Stones. The objective is to get the biggest equalized win over 20 consecutive rounds while playing. Your result will place you on the leaderboard, and if you’re one of the top 500 players you’ll get a share of the £30,00 prize pool! 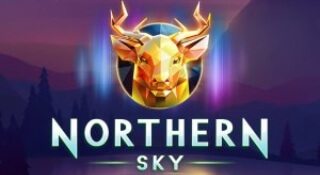 Maria Casino loves to provide us with exciting games that offer big prize pools – and their stunning new slot Norhern Sky is no exception! It shines bright and colorful light on the brand new slot tournament – which has a top prize of £3000! In order to celebrate the arrival of the brand new slot, Maria Casino is hosting a slot tournament where the top 200 players will get to share a prize pool £20 000! Play between the 16th and 27th february for your chance to win.